Sumitani S, et al. JMI 2012: 59: 166-73. 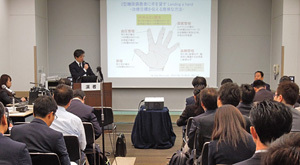 Copyright © 2012 Tokushima University Faculty of Medicine. Sumitani S, et al. JMI 2012: 59: 166-73.より作図. N Engl J Med 2015; 373: 2117-28. Diabetes Care 2013; 36: 1304-11. Arch Intern Med 2010; 170: 1892. BMC Endcrine Disord 2015; 15: 49. N Engl J Med 2013; 369: 1317-26. N Engl J Med 2013; 369: 1327-35. N Engl J Med 2015; 373: 232-42. Am J Med 1997; 102: 491-7. Diabetes Care 2010; 33: 1291-3. J Chin Med Assoc 2010; 73: 617. Cochrane Database Syst Rev 2010; 1: CD002967. Diabetes Care 2014; 37: 2291. Diabetes Care 2011; 34: 1431-7. Am Fam Physician 2014; 89: 256-8.